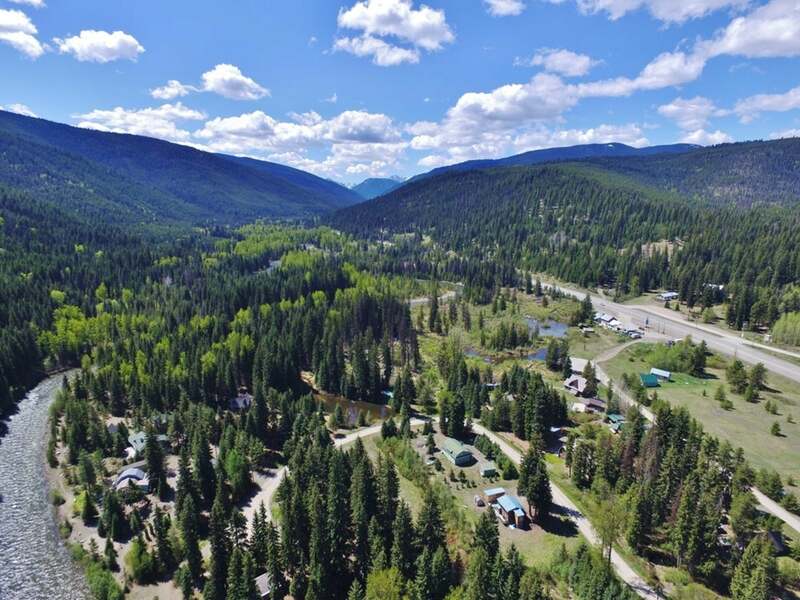 East Gate is a small community of approximately 100 cabins nestled alongside the Similkameen River, EC Manning Provincial Park and open crown land. Located approximately 55 kilometres southwest of Princeton and just north of the popular Manning Provincial Park & Ski Resort. East Gate offers diverse recreational opportunities that include hunting, hiking, ATVing, snowshoeing, snowmobiling, snowboarding, cross country skiing & more. 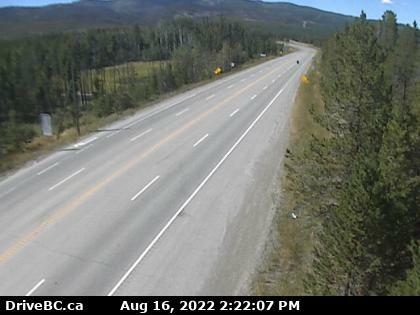 The community also sits next to highway 3, which is the main corridor that runs from Hope to Princeton and east to the South Okanagan. The land was originally the Tower Ranch until the 1970s when it was then subdivided into residential building lots. Cabin owners have diverse backgrounds in the medical field, trades, education, engineering and government. Several full time residents include retirees, business owners and employees of Manning Park. 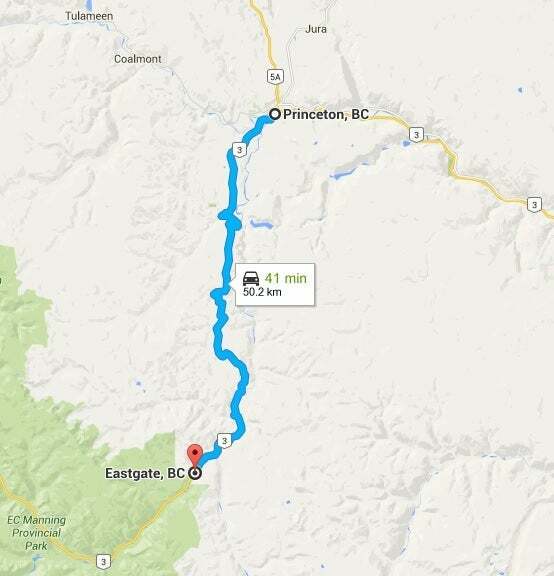 The area includes a gas station and convenience store with a B.C. liquor outlet, postal service boxes. Satellite TV and Xplornet internet are available to stay connected. 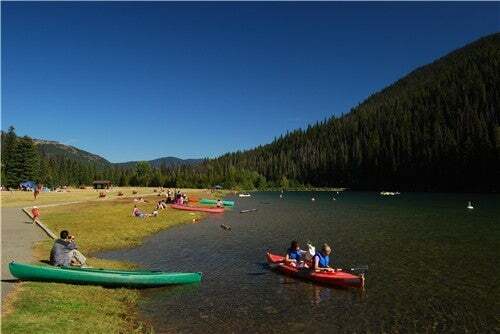 Manning Park Lodge is a 15 minute drive that offers a pub, restaurant, gym and pool facilities. In the winter, the park provides downhill and cross country skiing; and in the summer hiking, canoeing and horseback riding. Manning Park is a unique year round destination in BC, offering accommodations, retail and recreational services and facilities. Located in the heart of the Cascade Mountains it is within a three hour drive from either the Lower Mainland (Vancouver) or the Okanagan. Bisected by Hwy. 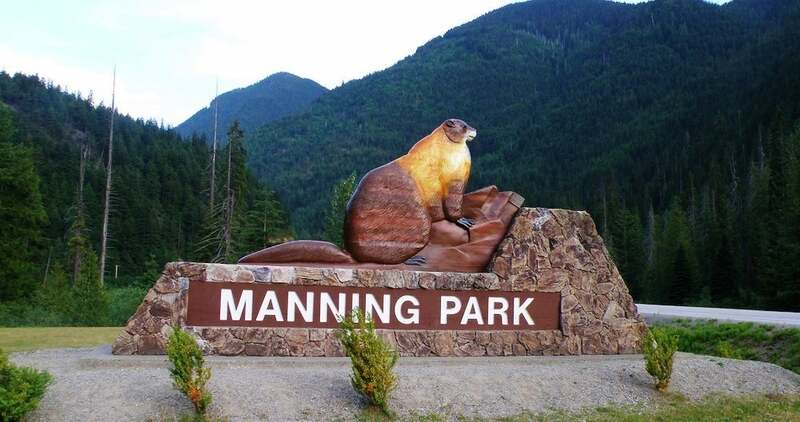 3, Manning Park is one of the most popular four season destination areas in the province, with driving access to the alpine. 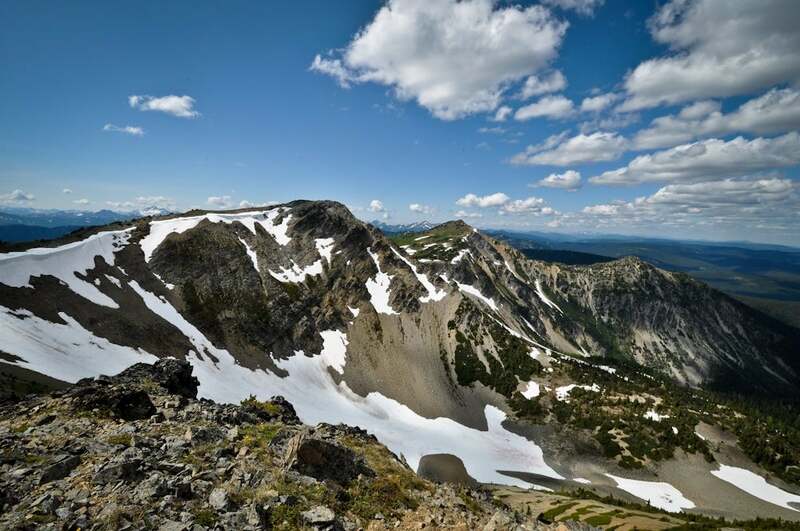 It is also the end point of the Pacific Crest Trail spanning from Mexico to BC. The park contains a large number of scenic, historic, floral and fauna attractions and provides a wide range of both summer and winter recreational opportunities. Summer features: camping, hiking, biking, horseback riding, bird and wildlife watching, fishing and canoeing. Facilities: 355 vehicle accesible campsites at 4 campgrounds - Lightning Lake (143 sites), Coldspring (64), Hampton (99), Mule Deer (49). 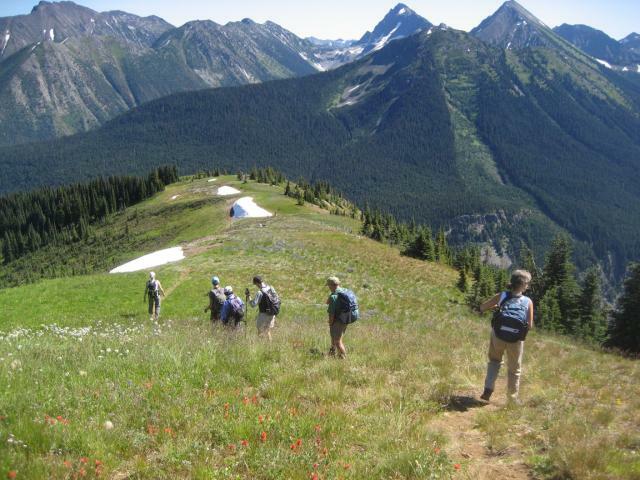 Ten wilderness backcountry camping areas (55 sites) include Buckhorn, Frosty mountain, Grainger Creek, Kicking Horse, Mowich, Nicomen Lake, Pacific Crest, Poland Lake & Strike Lake wilderness campsites. Lodge and cabin resort (41 guest rooms, 6 meeting rooms, plus full amenities) and 25 Cabins. Day-use area, group sites, flush toilets, showers and sani-station. Day-use pay parking is in effect. The East Gate Fire Protection Society has 2 well equipped fire trucks and firefighting equipment in an alarmed fire hall in the center of the community. The Society is well managed and provides educational courses in first aid, wildfire fighting and fire prevention. Fundraisers and social events are planned every year.